With a new year comes changes, new goals and evolving priorities. In our household for 2019 those all revolve around our newest family member - Bash! We had been talking about getting a dog for quite some time now but hadn’t gotten around to getting our ducks in a row for some of the adoption agencies we were interested in. At the start of January we learned about a family who was looking for a new home for their 5 month old puppy that they could no longer take care of. The puppy in question was a husky-lab mix and seemed perfect for us. Have you heard that saying that “there is no such thing as perfect timing”? This was running through my mind when we decided to pull the trigger and adopt this pup. We were never going to have the stars aligned for adopting a dog so why not now? I will say the puppy training has not been easy. While he is 5 months old, the family that had him previously did little to no training so we are essentially starting from scratch. Except starting from scratch on a 35 pound puppy is a little different than a tiny one. We have now had Bash (we re-named him) for a little over a week and we love having him, even with the training challenges. Our cat Boom is adjusting as well as can be expected, standing up to the dog and asserting herself in a most impressive manner. 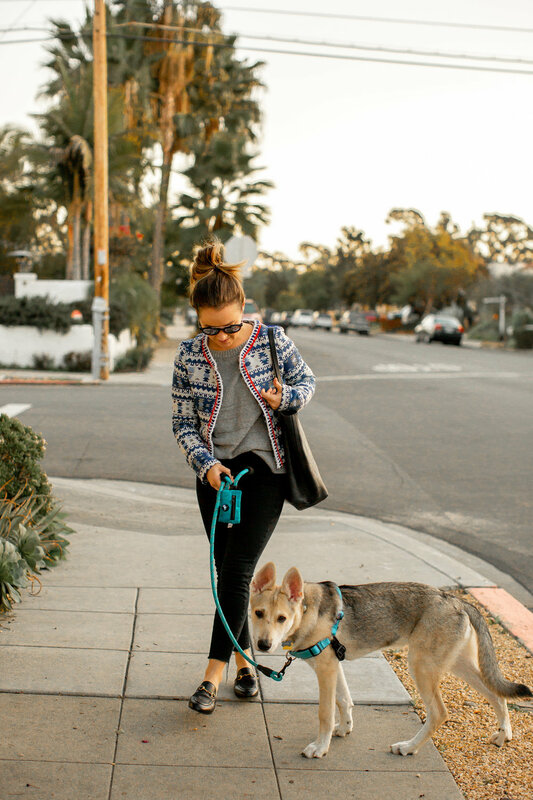 Living in San Diego there are tons of dog-friendly restaurants, bars, hiking trails and dog parks so we have been making use of those already as places to take Bash out to socialize. As the weather warms up we are planning to take him to the dog beaches here as well. All in all, life as a dog parent has so far been challenging but rewarding as well…just ready to get to the well-trained dog at the end of the rainbow.